Bytopia (a working title) is a procedural, voxel-based construction game, with (planned) town-building and management elements: you'll be able to build homes, attract settlers, and gradually create a functioning community. Hey, I'm Orin! 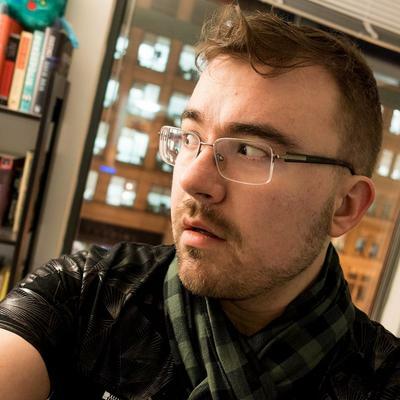 I've been making games since the fourth grade, and I also spent over a decade working as a programmer in the game industry (mostly at Bethesda Game Studios, on the Fallout and Elder Scrolls series). This game is a hobby/passion project for me. I'm new to the handmade ethos but I'm quite taken with its ideas. I'll be providing regular updates about my progress as I tackle new problems, both in game design and in programming. I'll also be sharing regular screenshots and videos of how things are going, as well as any code snippets that seem worth sharing. 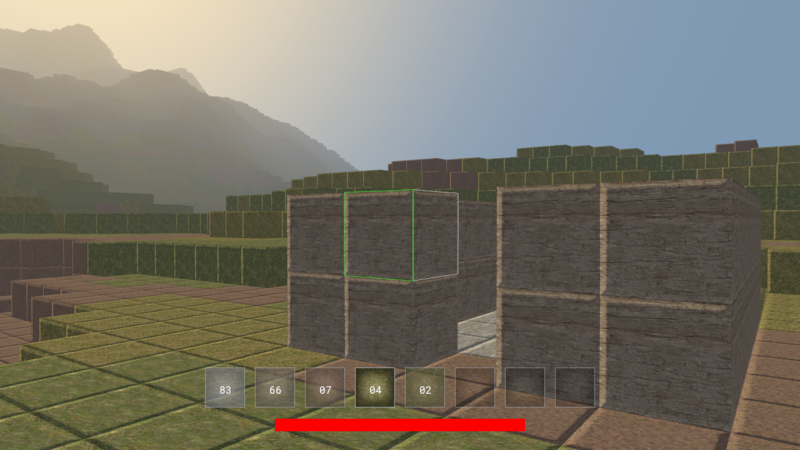 So, why make yet another voxel building game? I'm a big fan of the genre, but I've never found one that scratches the particular itch I have: I'm tired of making big, empty cities; I want to create towns that actually have living and working populations! Terraria and Dragon Quest Builders (amazing games both) make steps in this direction, letting you create special rooms that attract pre-made NPCs, but in a very limited way; I want to take this basic concept and make it procedural, letting you build a potentially large town (or network of towns) with randomly generated NPCs fulfilling different roles--and all this while still having the exploration, crafting, and gathering elements that make these games so much fun. A secondary motivation for me is to make a voxel game that's just a lot smoother, prettier, and more generally polished that some of the other options in the genre: handcrafted high performance code (without the random hitches and crashes that can make Minecraft a chore to play sometimes), modern graphics techniques, and a generally professional feel. 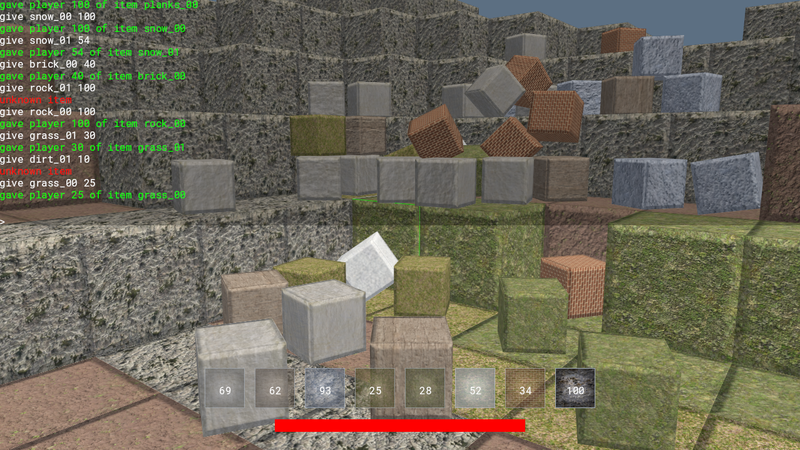 Currently the game's been under light development (alas, I have a day job) for about four months; a lot of the basics are there, including the most of the systems components (rendering, input, etc), first passes on the world representation and procedural generation, physics for player movement and items, simple inventory management, day/night cycle, and so on. Which is to say: you can walk around a simple procedural voxel world and dig/build near-infinitely in any direction, but that's about it so far. Basically it's Creative Mode. - Prototype NPCs (with temp art) and pathfinding. 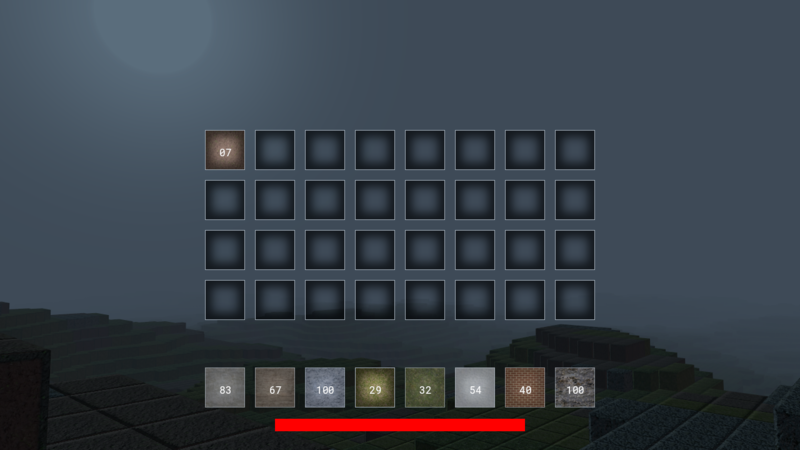 - Get a bunch more block types into the game. 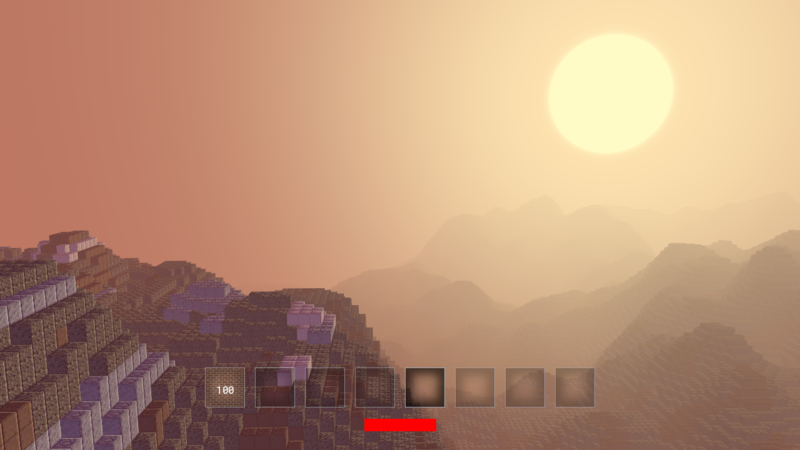 - On the technical side, more optimal world mesh generation and better performance. Longer-term, I'm hoping to get a first playable prototype out into the world by the end of 2017. I'm writing the game in C++14, although I'm trying to keep the use of more complex language features minimal (only where they make the code simpler or are necessary for performance). The graphics API is currently OpenGL 4.5, although longer-term I plan to implement a Vulkan backend (the greater control over memory management and threading would be hugely beneficial for a game like this). I'm working in Windows but I'm trying to be as platform-agnostic as I can, to make future ports as pain-free as possible.